Uttar Pradesh election results 2017 live: Counting of votes starts at 8am. New Delhi: The counting of votes for the 403 seats in Uttar Pradesh (UP) assembly elections 2017 will start at 8am. The first election trends and results are expected within an hour. The assembly polls are being seen as a referendum on Prime Minister Narendra Modi’s popularity and his reforms, particularly demonetisation. A triangular contest between Modi’s Bharatiya Janata Party (BJP), Akhilesh Yadav-led Samajwadi Party-Congress alliance and Mayawati’s Bahujan Samaj Party (BSP) is forecast in Uttar Pradesh. Exit poll results on Thursday were indecisive for Uttar Pradesh, the country’s most populous and politically crucial state. Four of the six polls predicted Modi’s will emerge the single largest party but may fall short of gaining the 202 seats need to govern in its own right in the 403-member assembly. 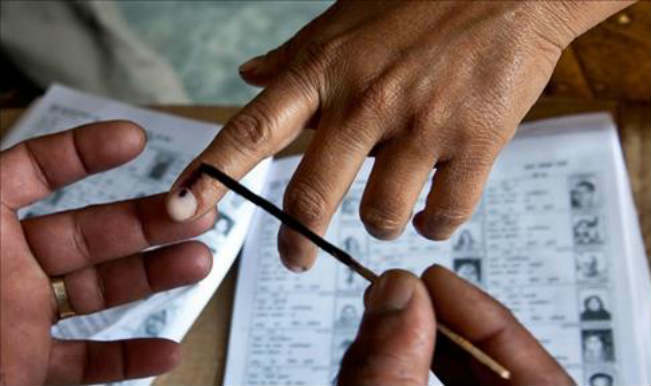 The Election Commission (EC) has set up 78 counting centres in 75 districts of Uttar Pradesh. The EC has issued strict guidelines on security arrangements for counting of votes and has prohibited mobile phones inside the counting halls. A three-tier security perimeter has been created at the counting centres. The election results will be available on the Election Commission website eci.nic.in. Two other polls, including the one that forecast Modi winning a majority in the 2014 national elections, expect Modi’s party to sweep to power in a decisive victory. The alliance between the Congress and the Samajwadi Party (SP) of the state’s current chief minister, Akhilesh Yadav, is forecast to be the second largest bloc in all polls. ■ 8.00am: Counting of votes begins at 78 centres in Uttar Pradesh, first trends are expected to come within an hour.